Come and stay with us at Dashville! Click through here to our secure booking page. 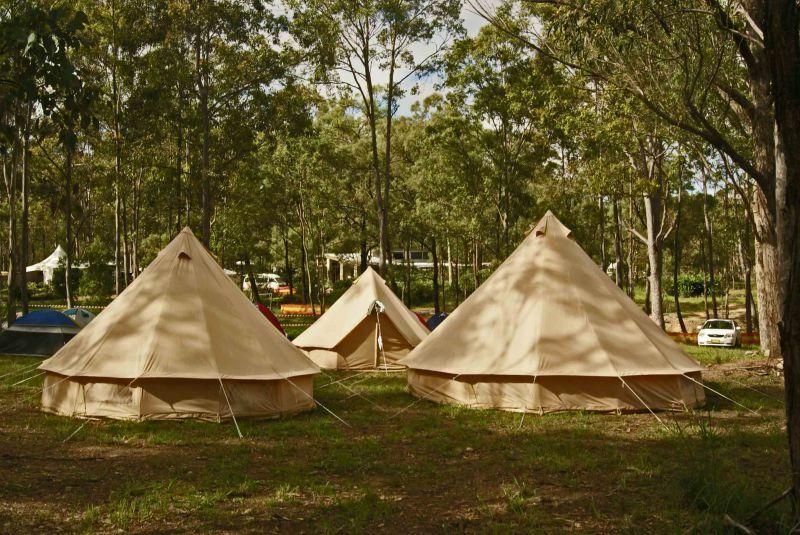 Hunter Valley camping accommodation option for attendees to events in the area. A unique and easy place to stay whilst attending events in the Hunter Valley. We are now taking bookings for 2018/2019 summer. Dashville is a secluded bushland venue and campground owned and run by the Johnston family. The site is located at Lower Belford, just 15 mins from Bimbadgen, 20 mins from Hope Estate and 25 mins from Roche Estate with simple access from Sydney via the new Hunter Expressway. 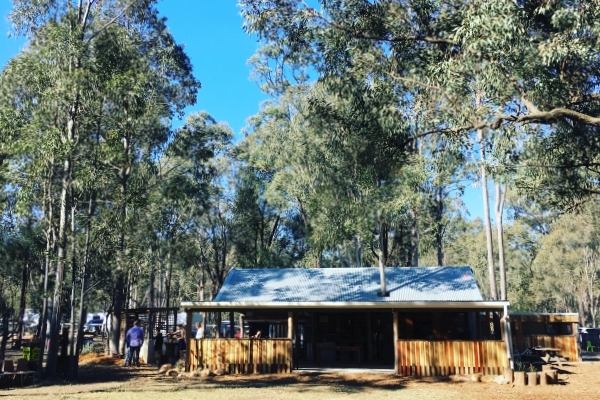 The spacious bush land venue is renowned for its own unique music and arts festivals such as The Gum Ball Music Festival, Pig Sty In July, Thrashville and Dashville Skyline. Due to demand, Dashville now hosts Hunter Tent Stay, and it's the perfect option for those looking for cheap and stress free accommodation whilst attending events in the Hunter Valley vineyard region. Turn a night in a hotel into a wind down weekend, with a stay at Dashville! Scroll down to read more info and make your booking. By all means, if you have any further questions, please don't hesitate to get in contact. CARAVANS, CAMPERS, TENTS, SWAGS... ALL WELCOME! The basic run down is below, please read through these points, if anything is unclear, or your date is not listed above, be sure to drop us an email via mail@dashville.com.au or phone 0417690992. PER PERSON RATE - Everything is charged per person so this allows freedom for you to set up however, wherever. Keep in mind under 12 is free. 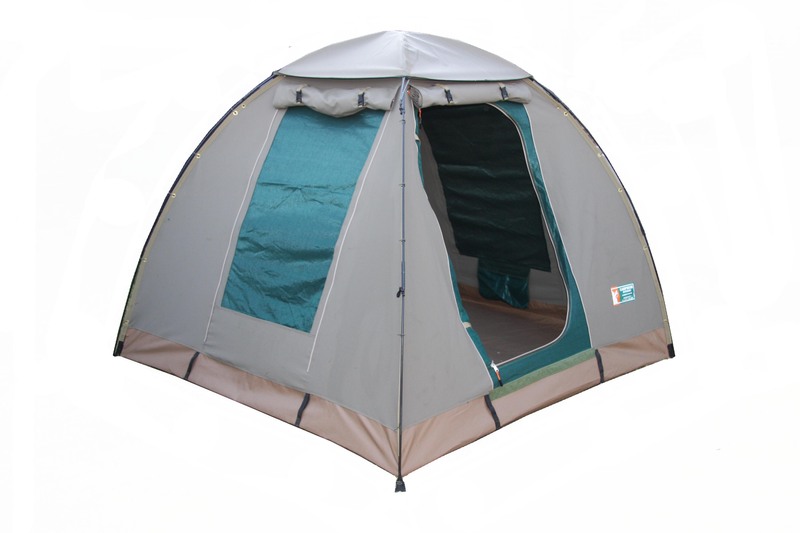 TENT HIRE - is an optional extra, we have 2 person tents and 4 person tents available for purchase. they include an inflated mattress/stretcher beds and options to include a linen pack. FIRST COME, FIRST SERVED - Choose your own space/site to set up camp, whether it be a caravan, tent, camper, whatever. There's no space restrictions. POWERED SITE - The per person rate does not include a powered site. You must select Powered Site as an additional inclusion if wanting power for your caravan/camper etc. If you need only power for charging phones, hair dryer etc, there is 24hr access to 240v power in the restaurant and amenities area. COOKED BREAKFAST INCLUDED - Each night you stay we include a cooked breakfast the following day. This takes the hassle out of bringing all the cooking gear, and on these glorious mornings waking up in the bush, there's nothing better than slowly easing into the day, whilst someone prepares you a tasty breakfast. RETURN SHUTTLE BUS - The shuttle bus to and from Dashville is the best way to get to the concert. it is $25 per person return. The first bus departs Dashville 20mins before Concert gate opening time. Just make sure you are aware of the particular event running times if catching the bus. We will send out an email to all bookings, before your stay to give you any information on bus times as soon as it becomes available. Below are the most popular options and a few listed optional extras for you to consider. Check in from 8am on the Saturday, check out 11am Sunday. Home-style cooked breakfast each morning. Expect some variation of bacon and eggs (vegetarian/vegan option available upon request ahead of arrival). Plenty of local knowledge and good times, provided by your hosts The Johnston Family. * please note quoted prices may vary for certain weekends. Visit the booking page here for dates and prices for all weekends. Check in from 2pm on the Friday, check out 11am Sunday. Check in from 8am on the Saturday or Sunday, check out 11am Sunday or Monday. Book your Elton John accommodation now! The Presets + Hayden James + Hot Dub Wine Machine + Kinder + Confidence Man + many more. Bookings must be made via our online Dashville store. Please select your date from the list and follow the prompts. If your weekend is not listed, please just drop us an email at mail@dashville.com.au and we will respond asap. If you are unsure about anything and need to speak with someone, you can call the office on 02 9051 1444. We look forward to seeing you at Dashville soon! Please note that refunds are not available the week of the event.